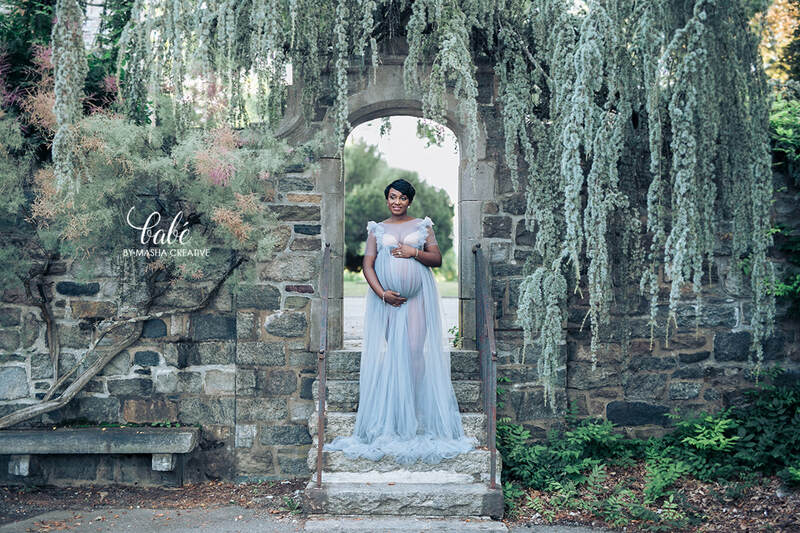 Voucher can be used towards an indoor or outdoor full maternity session which costs $600. The session is booked with the voucher and the $450 balance is due at the end of the shoot. - 25-40 lightly edited images in high resolution. - Use of studio gowns: we have a collection of over 30 gowns which range from tight and sheer to big tulle ballgowns. -The session takes place in a location of your choice. Usually, a park or garden within 8 miles of 07410 (additional charge for outside areas) or in the studio, which is a natural light studio with an industrial setting that includes a cement floor and white brick walls. -Bad Weather: I shoot in both sunny and cloudy weather. However, If it is raining we can reschedule to another time at no charge or shoot in the studio. -We highly recommend all of our clients get their hair and makeup professionally done. The cost of make-up and hair is not included in the session fee. If you're looking for recommendations of stylists, we can certainly recommend some and arrange for them to do your make-up at the studio. Check the bottom of this page for the preferred vendor info. -You can do an unlimited amount of outfit changes. Since changing time does take out of the shoot time, we are generally not able to accommodate more than 4 outfits (you can bring a 3rd just in case we have time). -The turn around time is approx. 4 weeks from your shoot date, so make sure you book with enough time; however, we do have some rush processing options for a small fee. -You can bring a friend, family member, husband and kids to the shoot if you wish. Please note, they are NOT permitted to take photos with their camera or cell phone. 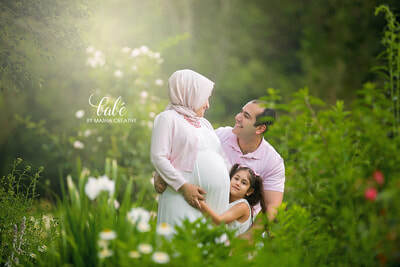 If you are bringing anyone to your shoot, it is your responsibility to let them know that other than the hired photographer, photography is NOT permitted during the session at anytime. -Once your photos are done, you'll come in studio / meeting place and choose the ones you want. All photo ordering sessions happen in-person. There are no exceptions. All decisions do have to be made at this appointment. -Although there is no pressure to get anything beyond your package, all our clients love their photos almost all of them do invest in more. Most clients spend between $300-$1200 on additional products. - All photos have basic retouching done, and some may have a little skin softening. If you want deep editing on photos, such as skin softening and body contouring, that can be done for $40 per edit, per image. Most people love the photos with the original edits, and don't see a need for advanced editing, so I recommend you view the photos first, and then decide if you want to add extra editing to your package. -To schedule an appointment, contact us. If you have any questions about your appointment that have not been addressed here, you can messages me at info@mashacreative.com If you cancel or wish to reschedule and give me less than 72 hours notice, there is a $29 rescheduling fee. There are no exceptions as I likely turned people away from that slot. -The studio is located in Little Falls, NJ. There is parking lot. Thanks so much, and I look forward to working with you! © MASHA CREATIVE COPYRIGHT 2016. ALL RIGHTS RESERVED.